This is the story of a fig tree. 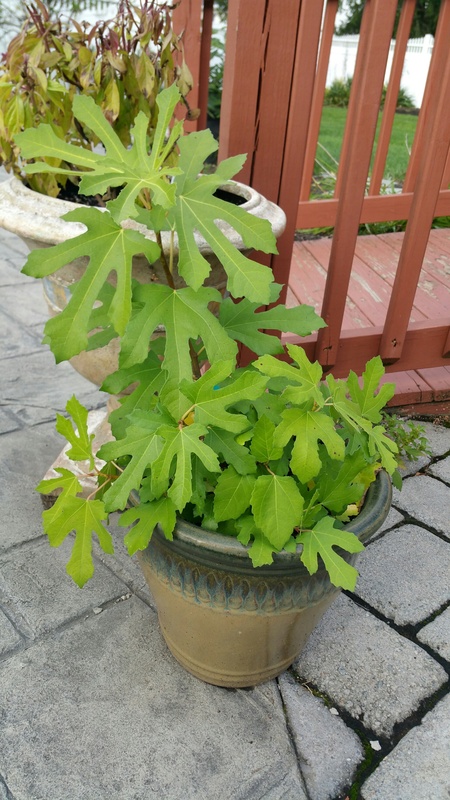 About five years ago I decided I wanted to grow figs in the backyard of our northern Virginia home. You may know that George Washington successfully grew figs at Mount Vernon. It was pretty cold in the 18th century, so I figured if George could do it, so could it. What I didn’t take into account was the fact that George probably know a lot more about horticulture than I do, and had people working for him whose sole job it was to grow things. And now that I think about it, maybe these fig trees were inside a green house. Never mind all that. How hard can it be? 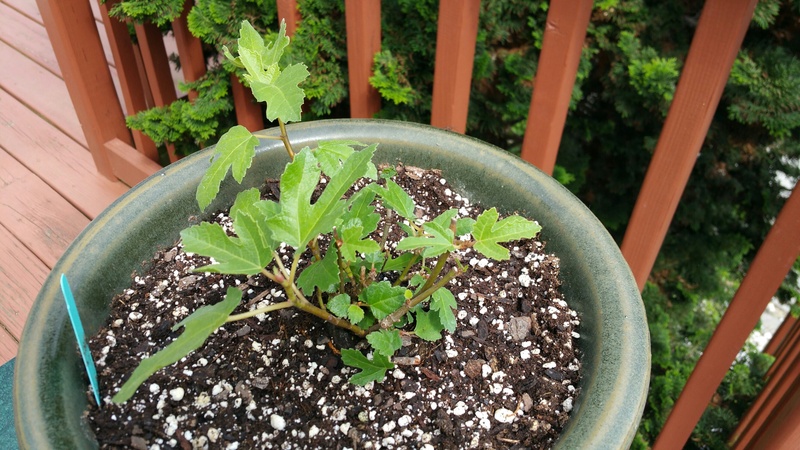 So I began my fig saga, first with one fig tree, then with a second in year two. I got figs from one tree in year two. Then this tree died after a protracted cold spell in the winter. In year three I removed the dead fig and replaced it with a fourth one. This one, like its predecessor expired after a rough winter. Now in Pennsylvania I have finally succeeded. This is what the fig tree looked like when I got it from the UPS guy. It was in a four inch plastic container. After two months, it looked like this. Below is the plant I bought last year. It was the same size as the picture above (smallest plant) when I got it and after a year it looked like this. Yowza! Now that’s what I call a healthy specimen. This picture was taken about six weeks ago; at the top of the post it what it looks like today. It is in a 20 gallon Smart Pot. I am going to have to transplant it into something bigger next year. I like figs. I also refuse to be defeated by something as simple as a fig tree. My husband thinks I’m just stubborn. Maybe I am. But I’m also persistent, and I don’t like to take no for an answer. 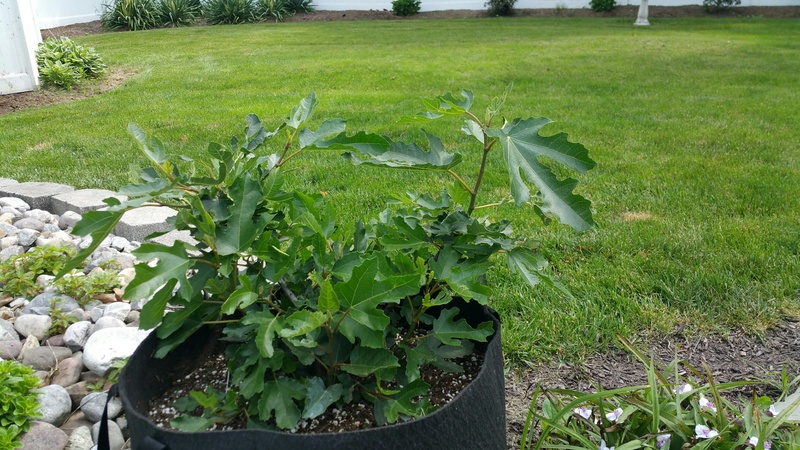 So, last summer year I put my fig plant in a big cloth planter called a Smart Pot. I brought it indoors in early December where it spent the cold months in an unheated sunroom. It went dormant, but it didn’t die. I watered it about once a month when it was really dry. Figs actually don’t mind the cold, but they don’t like cold winds and prolonged below zero temperatures. Which means that you either have to have really good protection for them, pray the winter isn’t harsh, live in a warm climate, or bring it inside during the coldest months. 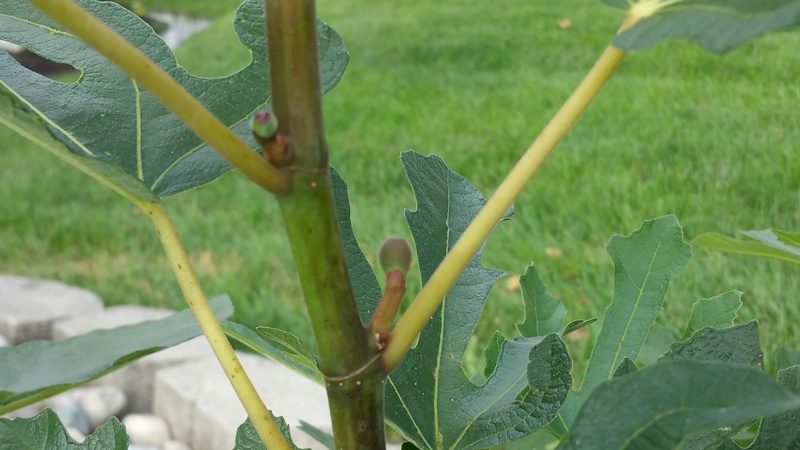 Growing fig trees is more a science than an art. It isn’t about luck. 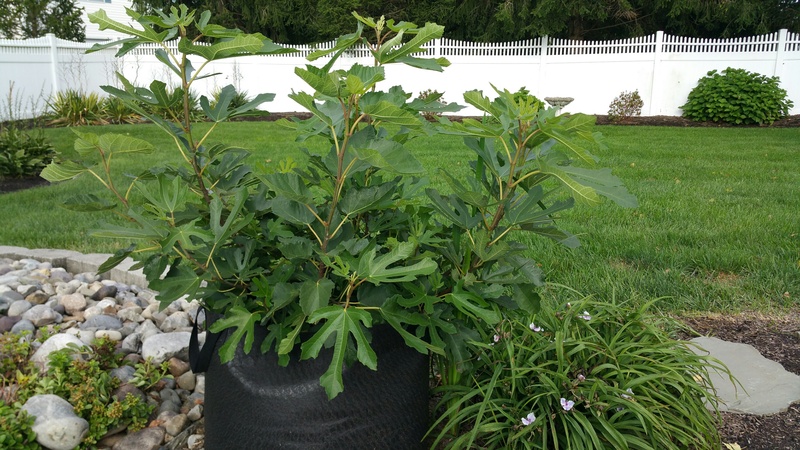 You have to understand what kind of environment a fig tree will thrive in, and how to keep it healthy from one year to the next in an environment that as closely as possible approximates the Mediterranean climate. Which means you can’t really plant it in your backyard if you live north of Mount Vernon. George knew what he was doing. Which leads to a larger issue. How big do fig trees get? I’m going to find out. ← What have I been up to this summer? Delightful blog. I love your effort with the fig tree. I like figs too. I see no reason you can’t succeed in growing figs in Pennsylvania, unless it gets too big and heavy to move into your protected space for it for the winter. Of course, you could always hire a couple of strong young folks to move it for you at that point. Here’s to figs!